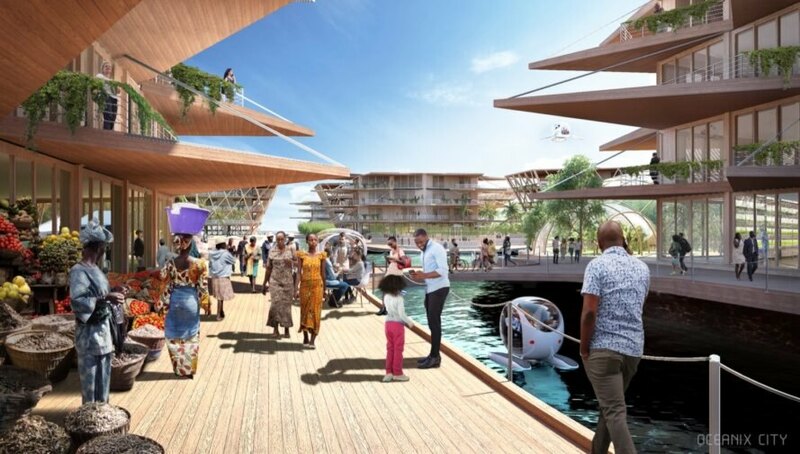 BIG and a coalition of partners have unveiled Oceanix City, a visionary proposal for the world’s first resilient and sustainable floating community for 10,000 people. 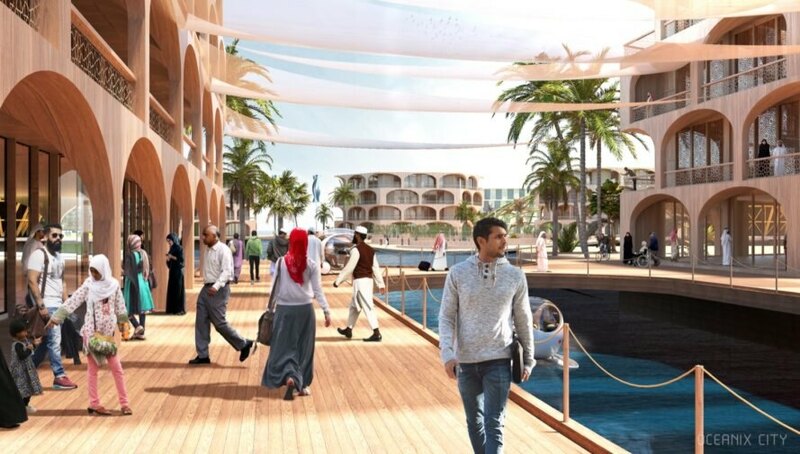 Presented at the first UN high-level roundtable on Sustainable Floating Cities, the conceptual design was created as a potential solution to the perceived threat of climate change and rising sea levels. Conceived as a “modular maritime metropolis,” Oceanix City is engineered for self-sufficiency with features from net-zero energy and zero-waste systems to a sharing culture. According to UN-Habitat, 90 percent of the world’s largest cities will be exposed to rising seas by 2050. As part of UN-Habitat’s New Urban Agenda, BIG teamed up with MIT Center for Ocean Engineering, Mobility in Chain, Sherwood Design Engineers, Center for Zero Waste Design and other partners to propose Oceanix City. This is a 75-hectare floating city that is meant to grow and adapt organically over time — from neighborhoods to cities — with the possibility of scaling indefinitely. 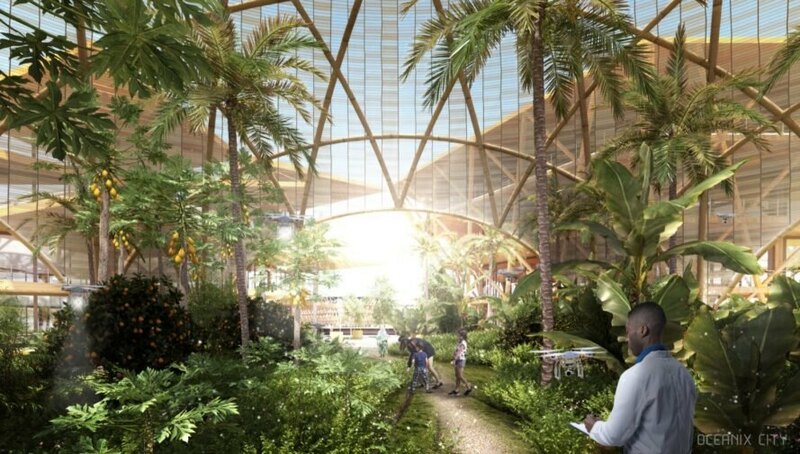 To that end, Oceanix City uses a modular design with two-hectare modules serving mixed-use communities of up to 300 residents centered on communal farming. 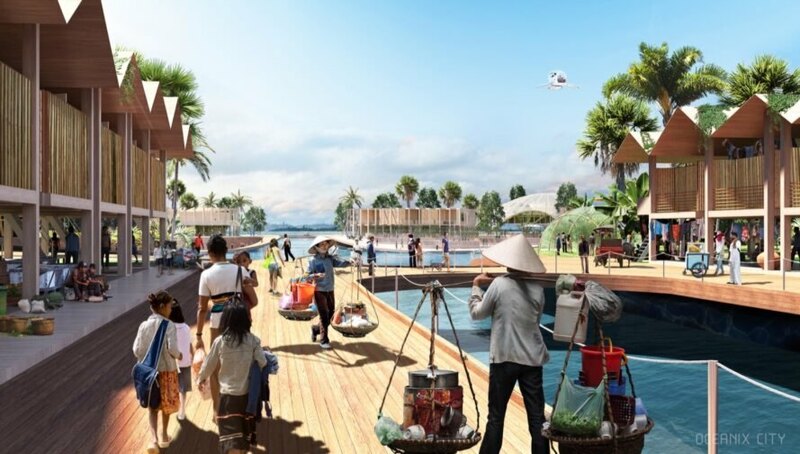 Larger 12-hectare villages comprise six neighborhood modules clustered around a protected central harbor accommodating social, recreational and commercial functions for up to 1,650 residents. For a city of 10,000 residents, six villages are connected around a larger protected harbor. Construction materials will be locally sourced whenever possible, and components would be prefabricated on shore and then towed to their final site to keep construction costs low and thus permit affordable housing. BIG and a coalition of partners have envisioned a sustainable, floating city that responds to climate change. The city will enforce resiliency against rising sea levels. The modular design is engineered for self-sufficiency. BIG collaborated with MIT Center for Ocean Engineering, Mobility in Chain, Sherwood Design Engineers, Center for Zero Waste Design and other partners on the project. Oceanix City will focus on zero-waste and energy efficiency. Oceanix City will grow and adapt for more and more residents over time. Modular, mixed-use developments will house hundreds of residents and several businesses. Urban, communal farming is essential to the project. 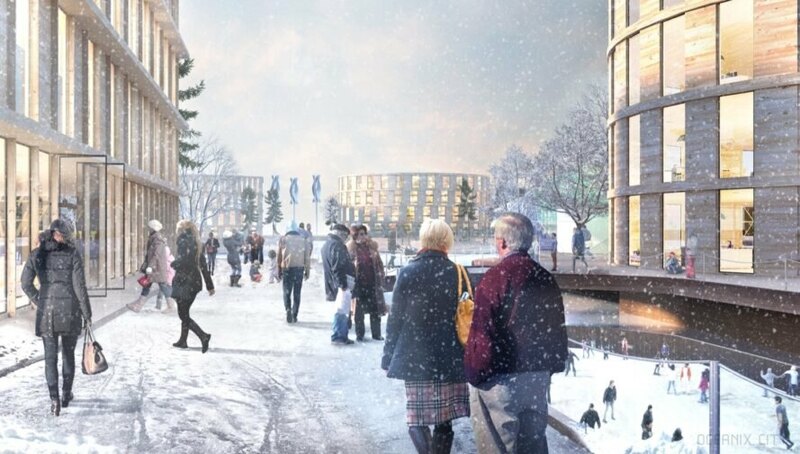 The city will be designed for net-zero energy. The city is designed to scale up. Buildings will be prefabricated to minimize construction costs and allow for affordable housing. Each neighborhood will house 300 residents. Villages will consists of six neighborhoods and a central harbor. 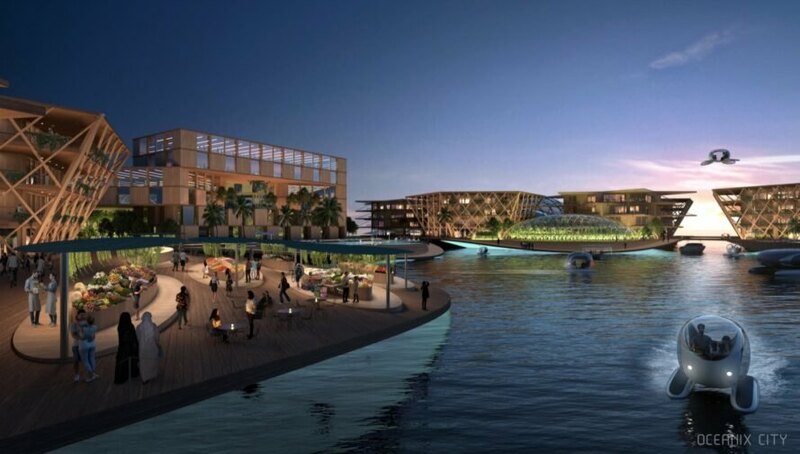 The city will be comprised of six villages and a central harbor.